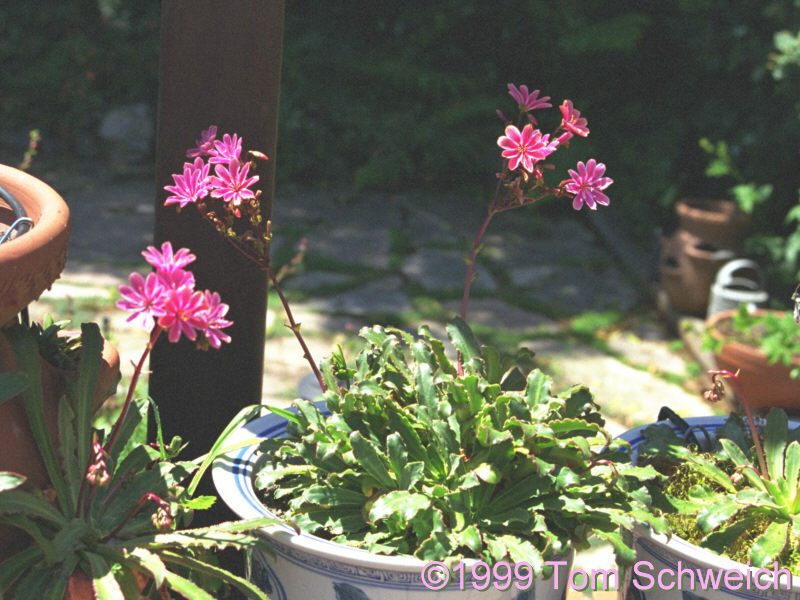 Photo: Lewisia cotyledon in my garden in Alameda. Eastern Mojave Vegetation Lewisia cotyledon in my garden in Alameda. Yes, they are growing in the strawberry pot on the left, as well as the glazed pots in the center of the photograph.